Pandora is partnering with the Ad Council and programmatic shop A Million Ads to test a new ad platform that enables personalized versions of an audio ad, further illustrating its shift toward ad tech and advertisers. Pandora’s Dynamic Audio capability is designed to enable the "hyper-personalization and sequencing of audio ads" by leveraging real-time insights, based on Pandora audience data, including age, gender, when listeners tune in, location and music genre preferences. "We’re able to string together different elements, or pieces of an audio ad to get a particular message just right for each listener," says Lizzie Widhelm, senior vice president, ad product and strategy, Pandora. "We are curious to understand if we can leverage our rich user data to make ad interruptions more enjoyable, and if it will change the listener and ad experience. 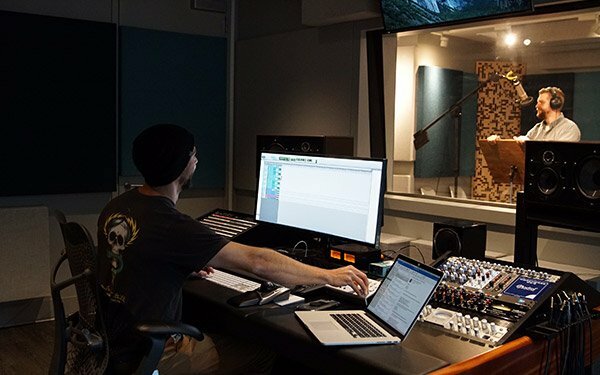 Our hypothesis is if the audio spot feels personalized and meant just for you, the ability for it to resonate and get your attention should increase." The creative is recorded and produced by Pandora’s in-house creative services team and served through one simple tag. While dynamic display technology has been around for some time, enabling dynamic audio ads is much more challenging, says Widhelm. Pandora claims that no one else is currently offering this level of dynamic personalization with audio ads. While competitors like iHeart's Clear Channel are introducing audience segments into broadcast offerings, there are no known creative tools to enable personalization of an ad, says Widhelm. Plus, the radio subscription service says its platform offers nearly triple the number of audience segments versus iHeart. Pandora is using the partnership with the Ad Council and A Million Ads to refine its dynamic audio offering before going wide with it. Audible will be the first major advertiser to leverage the company’s dynamic audio creative. Among the challenges: Getting advertisers that use the offering to be comfortable with the idea of giving up final creative approval. Advertisers will be made aware of different factors that will be used to create ad variations, but will not be able to screen the thousands of versions of creative that are served to individual listeners. "There is such an appetite to be able to leverage this technology that for the most part, we anticipate this is a small hurdle, with the exceptions of those in extremely regulated industries," says Widhelm. Pandora will use the partnership to help define the listener and advertiser benefits of a more personalized approach to creative. "These findings will help us guide partners during the creative process and understand when a dynamic strategy will best suit the goals of a campaign," says Widhelm. "And importantly, when it won’t." 1 comment about "Pandora Partners With A Million Ads, Ad Council On Personalized Audio Ad Trial". Fraser Elliott from Opinions expressed herein are solely my own, February 1, 2018 at 9 a.m.
All the personalization in the world won't help Pandora until they fix their broken ad serving system that beats listeners about the head by the same ads over and over.